I’m not particularly tempted by this myself, but I have readers in one of the groups I run who definitely will be and I am always on the lookout for works to recommend. It does sound fascinating, Margaret. And it’s not an area of medicine or history that I know as much about as I should. I’m glad you’re enjoying it. Just from that bit you’ve shared, it sounds like an engaging writing style, too, which always helps. I thought this book was fascinating! It was a favorite several years ago. This has been on my list for a long time. I need to find a copy and get it read. I am glad that you are enjoying this so much. 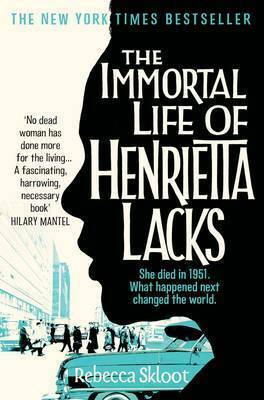 I had come across the story of the HeLa cells in a few scholarly books on the history of molecular biology, biotech and cancer research, but was concerned that this more ‘lay audience’ book might overdramatize the important human and ethical angles. I am happy to learn from your review that it does not, and will add the book to my TBR pile.